Feeding time. Oh, what joy. It seems like the boys love a particular food one day and then the next it's like I'm serving it to them laced with morphine. Of course, the distaste for any given food item is not told to me until it's cooked and sitting on a plate in front of them. Yes, meal times can be hard around here. But as I mentioned earlier this week, everything tastes better in a shape, a heart shape, that is. 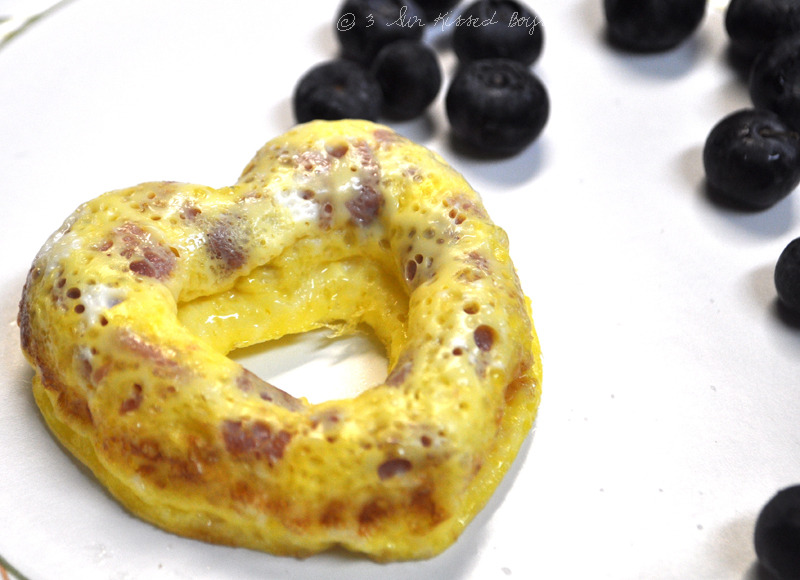 Yesterday morning I used the Wilton Heart Doughnut Pan I bought at Target to make eggs. I made plain eggs, for my real finicky eater, and added ham for the less finickier ones. I whipped up the eggs with milk as I would for scrambled eggs and poured. 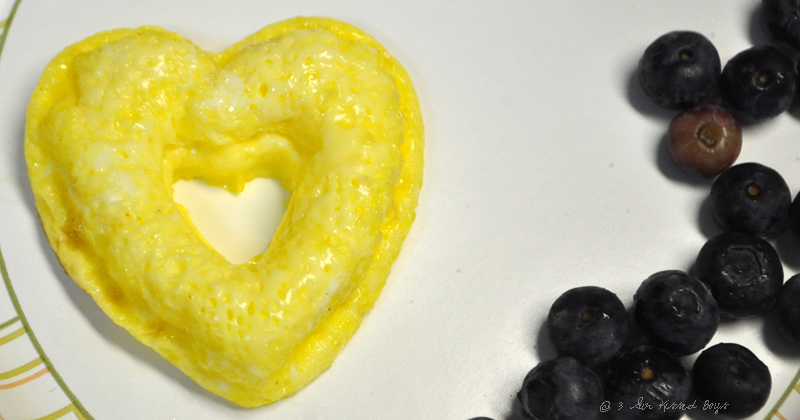 Each heart holds about one small egg. I added the ham individually to each shape. I popped it in the oven at 375 for 13 minutes and they were good to go. 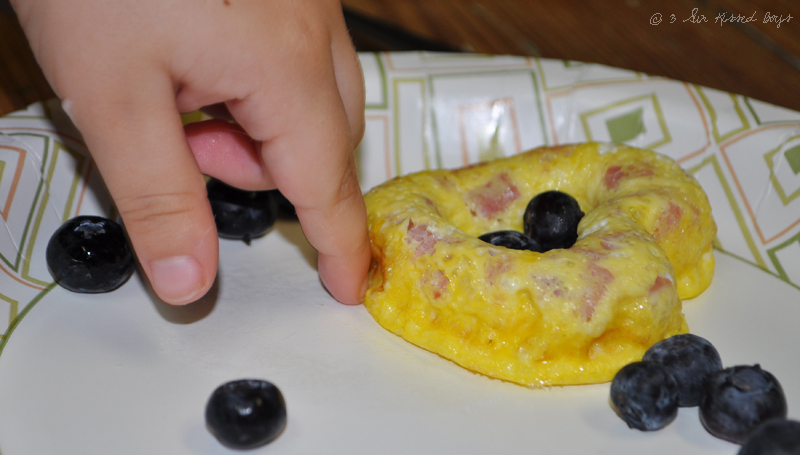 Be prepared for your little ones to play with their food. I try to pick my battles so I don't stress about egg in the face or egg full of blueberries. I'm just happy they're eating. It's not rocket science. This little pan can be use to bake anything that starts in liquid/fluid form. Oh, yeah, and donuts! Very cool, my friend...very cool. They were out of these at my Target, but since you just said Wilton...Michaels may have them! I'm going to check. You've inspired me!!! Oh how cute! I may have to do this for my son! you really DO love that pan, but i would too! everything it makes is so cute! How fun! 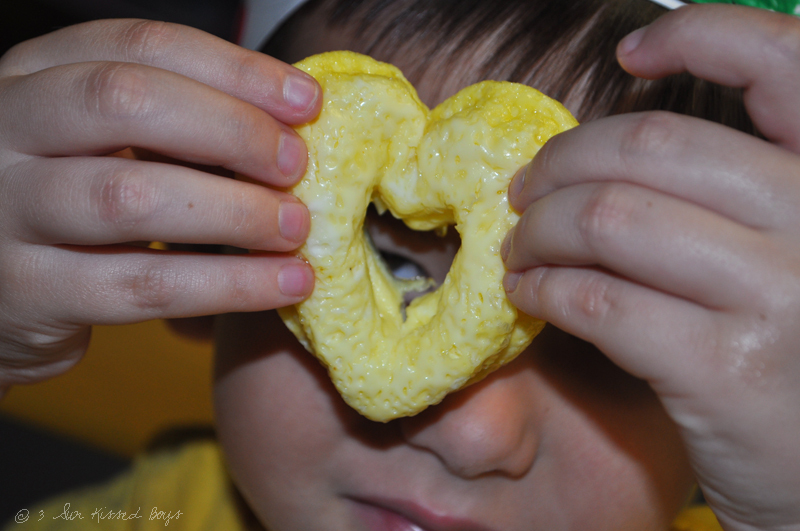 My boys are big fans of eggs, but I bet they would really love them in heart shapes:) I think I need to buy that pan this weekend when we go to Target! How creative of you....and Yummy! !